100 E Cooper Avenue #8, Aspen, CO 81611 (MLS #158068) :: McKinley Real Estate Sales, Inc. Extraordinary penthouse living in downtown Aspen featuring 10' ceilings on the upper level with incredible views of Aspen Mountain and Koch Park. A sliding wall of glass invites you to relax on the large snow melted terrace with built-in Viking barbecue and gas fire pit for seamless entertaining inside and out. 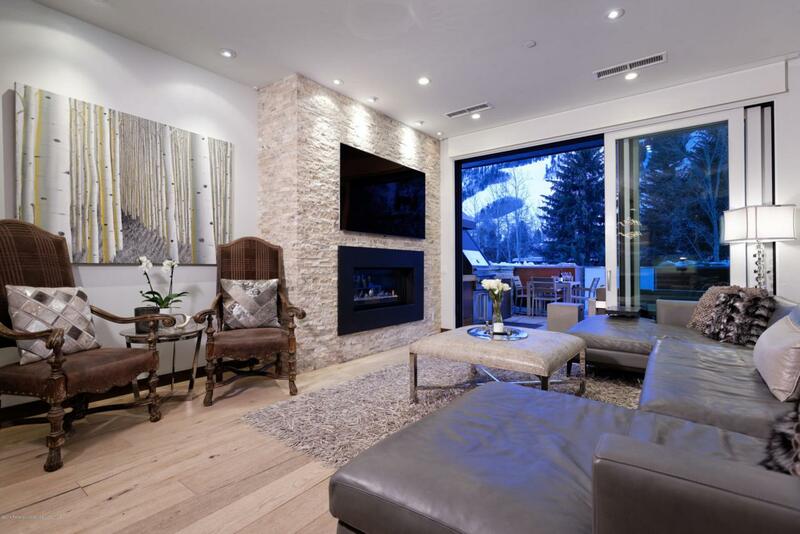 Conveniently located two blocks from Lift 1A, this contemporary condo in a highly desirable building is just steps from the parks, hiking and biking trails, as well restaurants and shopping in the core of Aspen. Located just 5 blocks from the gondola.